The use of MRI for breast cancer screening, while no longer controversial, remains a balancing act and judgement call for the attending physicians. There is no doubt that the MR image yields greater sensitivity, but the cost is high, and most often a suspicious finding will have to evaluated by biopsy anyway. I just want to let you know that I have created a newer version of this page, with more up-to-date information on imaging methods in breast cancer. Because well, this page is getting a bit out dated, although it still has pretty useful research material, I would still use it. Most breast cancer physicians will tell you that for general screening purposes, conventional mammography and sonography is the best and most sensible approach. However, MRI has demonstrated superiority in the evaluation of breast cancer recurrence in the conserved breast following surgery. Following a lumpectomy, MRI has proven to be very helpful in assessing possible residual breast cancer in patients who have had a breast lump removed. With MRI, it is a little bit easier to determine whether the margins are negative or positive for very small amounts of breast carcinoma. The mammogram image below, taken over 10 years after a lumpectomy was performed, shows an an apparent area of dense fibroglandular breast tissue and architectural distortion. However, the contrast enhanced MRI image of the same breast, shown below, reveals an area of apparent tumor recurrence adjacent to the scar tissue evident in the mammogram. After lumpectomy and radiation treatment, a breast cancer tumor will enhance, while inactive scar tissue will not. For this reason, the ‘confirmed negative’ predictive value of MR for recurrence is more than 98%. Ultrasound is somewhat more limited in its ability to discriminate between scar and breast cancer tumor, but is still useful for guiding the biopsy process. The image below show an MRI of a patient who had just undergone lumpectomy three weeks prior. One can clearly see a ‘hypo-intense‘ residual scar at the margin of the lumpectomy site. The question is as to whether or not this is breast cancer or benign scare tissue. Before proceeding with radiation therapy the surgeon must determine if additional surgeries are necessary to remove any residual breast cancer growth in the surgical margins. On the T2 MRI image of the same breast, shown below, a bright signal indicates the presence of a seroma in the surgical cavity. The subtracted MRI image of the same breast shown below reveals no enhancement, other than the paper-thin and ‘regular‘ lining of the surgical cavity. Because no mass enhancement is visible, one can conclude that there is no infiltrative cancer in this breast. The image below shows the site of a lumpectomy after six years. The mammogram shows some architectural distortion of the fibroglandular tissue beneath the scar, but no apparent lesion suspicious of breast cancer. The breast ultrasound shown below is also inconclusive, as it is difficult to distinguish between the scar and a possible recurring cancer mass. The MR image of the same lesion in the image below confirms that there is no recurrence around the scar tissue at the site of the lumpectomy. However, a lower slice MR image shows a new suspicious mass in the previously unaffected breast. The mass-like enhancement indicates neovascularity of a small hypo-intense mass, which is suspicious for breast cancer. After this ‘new‘ discovery, a second-look ultrasound such as the one below would typically be ordered. The ultrasound image below certainly appears to be an invasive cancer, which would be confirmed by biopsy. A follow-up MRI after lumpectomy or breast conservation surgery has the advantage of providing a bilateral view of the breasts. Usually, background enhancement and cystic alteration will decrease bilaterally on MRI after completion of surgery and radiation. In addition, edema, skin thickening, seroma, and enhancement at the lumpectomy site will also decrease progressively. However, in some women these changes never actually resolve. Edema can still be present 6 or more years following lumpectomy in about 25% of women, and seroma remains in up to 4%. Lumpectomy site enhancement in general is seen in around 35% of women in the first 12 months following lumpectomy, and in 15% of women even after 5 years. There is also some evidence to support the observation that women with high levels of fat necrosis in the lesion will be more likely to show lumpectomy site enhancement than those without. Before a breast lumpectomy or mastecomy is performed, the surgeons make careful pre-operative plans to ensure that as much of the carcinoma as possible is removed. MRI for breast cancer planning has been shown to be extremely useful for detecting occult multicentric and multifocal breast cancer which was missed in clinical exams and conventional imaging. In addition, breast MRI has the advantage of allowing physicians to more precisely evaluate the size and extent of the breast cancer, before the physical operation. The mammogram image below shows a a suspicious architectural disorganization with a stellate appearance in the upper-inner quadrant. On magnification, the distortion is confirmed and ultimately revealed to be a large infiltrating lobular carcinoma. The breast ultrasound image also reveals a large, possibly multifocal mass. MR imaging will then likely be used to study the patient for optimal staging purposes. The magnetic resonance image of the lesion, shown below, confirms the multi-focal nature of the breast tumor, which gives the surgeons a better idea of the extent of the breast cancer prior to any surgical interventions. However, the MRI image also picks up some unexpected abnormalities which indicate a spread of the breast cancer to the other breast. There are strange and subtle enhancements in the untreated breast, which a follow-up mammogram X-ray reveals to be small and subtle clusters of microcalcifications. After confirmation with biopsies, the patient would likely be treated with bilateral mastectomy. The X-ray image below also shows an asymmetrical density, but it is very difficult to see due to the dense fibroglandular tissue in this particular patient. A close up view shows an accentuated density with architectural distortion, and one can observe the ‘tent sign‘ given caused by the retractile desmoplastic reaction. Since the breast tissue is so dense, an MRI work up is a sensible approach in diagnosing and staging this particular patient. The MR image of the lesion, shown below, confirms it to be multifocal breast cancer, very clearly delineating the different nodules. MRI also shows that the right breast is completely normal. Therefore, a mastectomy of the single affected breast would be a likely treatment approach. Some breast cancer patients present with metastatic disease to the axillary region, and yet show no signs of breast cancer on a physical exam. These kinds of situations are ideally suited to breast MRI. If surgery to either the breast or axilla is definitely required, MRI really helps the surgeons manage the extent of the required surgery. An occult primary breast cancer, which means there is no detectable tumor in the breast by either physical exam or mammography, is thought to represent about 1% of operations breast cancers. The main advantage of MRI in these situations is that the chances of conserving part of the breast, rather than requiring full mastectomy, is increased. Recent studies have shown that breast MRI detects mammographically occult cancer around 50% of women with axillary metastases, regardless of breast density. MRI is quite frequently used to assess the effectiveness of adjuvant breast cancer therapies, such as radiation treatment and chemotherapy. The response to chemotherapy in locally advanced breast cancers is often monitored by MRI after a few treatment cycles. The two images shown here are pre-treatment and post-treatment MRI images of a women given chemotherapy. If you compare the pre and post images, one would have to say that there is no significant difference in tumor size and enhancement. Although perhaps a bit more diffuse on post-chemotherapy, the contrast enhancement is basically just as intense as the pre-chemotherapy image, which suggests that the patient, unfortunately, is showing a poor response to the drug regiment. It is generally agreed that MRI is more accurate in the assessment of the effectiveness of chemotherapy in breast cancer treatment, than mammography. In fact, mammography tends not to add any value in the follow-up evaluation of chemotherapy. Sometimes a technique called ‘volumetric MRI’ is used to monitor the effectiveness of chemotherapy. In this situation, a computer is paired to the MRI and determines any changes to the overall volume of breast cancer, rather than relying purely on the visual image. MRI after chemotherapy typically shows about a 75% correlation with histology, and correlates to a physical examination alone in about a 60% range. Even with the sensitivity of MRI, the extent of the residual tumor is underestimated almost 50% of the time, and overestimated about 30% of the time. However, MRI still shows residual malignancy after systemic breast cancer therapies better than physical examination alone, and is particularly useful in breast cancer patients who have not had a complete clinical response to the treatment. There is some suggestion that women considered at high risk for developing breast cancer ought to be screened by MRI instead of conventional mammography. This is still somewhat of a controversial idea which is being evaluated in many cancer treatment centers around the world. MRI has a higher sensitivity than mammography, but many radiologists still feel that a combination of MRI with mammography yields the highest sensitivity in detecting breast cancer. The added cost of using MRI is very prohibitive however. Sometimes breast cancer screening using MRI is discussed in terms of the estimated number of ‘quality adjusted life years’ or (QALY’s) gained by screening with MRI. It is estimated that the cost of each additional ‘quality adjusted life year‘ gained by adding MRI to mammography in breast cancer screening is around $70,000 USD. That brings up the difficult issue that both patients and doctors must make, as to the threshold of expense which is thought to be a ‘cost-effective intervention‘ (worth it), and a ballpark figure tends to run between $50000-$100000. The ‘combined‘ screening method is generally thought to be most effective when trying to detect early stage breast cancers in high risk women. As the risk decreases, the addition of MRI in breast cancer screening becomes less cost effective. Breast cancer screening with MRI is associated with an increase in ‘false-positive‘ results. False positive findings are very common using conventional mammography, but much more common using MRI. The radiologist very often has to request additional tests, including biopsies, to evaluate possible abnormalities revealed by MRI. So, it is a bit of a balancing act. Breast MRI for women at high risk for breast cancer development leads to a recommendation of biopsy in about 17% of cases, and cancer tends to be found in about 24% of those biopsies. More than half of MRI-detected breast cancers turn out to be ductal carcinoma in situ. Overall, statistics do show that the likelihood of detecting breast cancer with MRI is around 8% higher for women with a family history of breast cancer, and about 7% higher for women with a prior diagnosis of lobular carcinoma in situ (LCIS), and not ADH. How to MRI for breast cancer? Using MRI scans, physicians can diagnose or monitor treatments for a variety of medical conditions including abnormalities of the brain and spinal cord, tumors, cysts, and other abnormalities in various parts of your body, injuries or abnormalities of the joints, certain types of heart problems, diseases of the liver and other abdominal organs, causes of pelvic pain in women (ex, fibriods, endometriosis), and suspected uterine abnormalities in women undergoing evaluation for infertility. When are MRI scans used? An MRI scan can be used as an extremely accurate method of disease detection throughout the body and is most often used after the other testing fails to provide sufficient information to confirm a patient’s diagnosis. In the head, trauma to the brain can be seen as bleeding or swelling. Other abnormalities often found include brain aneurysms, stroke, tumors, as well as tumors or inflammation of the spine. It provides valuable information on glands and organs within the abdomen, and accurate information about the structure of the joints, soft tissues, and bones of the entire body. Often, surgery can be deferred or more accurately directed after knowing the results of an MRI scan. The magnet may cause pacemakers, artificial limbs, and other implanted medical devices that contain metal to malfunction or heat up during the exam. Any loose metal object may cause damage or injury if it gets pulled toward the magnet. If a contrast agent is used, there is a slight risk of an allergic reaction. MRI contrast agents can cause problems in patients with significant kidney disease. Dyes from tattoos or tattooed eyeliner can cause skin or eye irritation. Medication patches can cause a skin burn as well. The wire leads to used monitor an electrocardiogram (ECG) trace or respiration during a scan must be placed carefully to avoid causing a skin burn. Prolonged exposure to radio waves during a scan could lead to slight warming of the body. Ikeda, DM., Baker, DR., Magnetic Resonance Imaging of breast cancer: Clinical Indications and bReast MRI reporting system. Journal of Mangetic Resonance Imaging (Dec. 2000) 12 (6): 975-83. Teifke, Am. Undetected malignancies of the Breast: Dynamic Contrast-enhanced MR imaging at 1.0 T. Radiology (2000) volume. 224: 881-888. Orel, SG., Schnall, MD. Staging of suspected breast cancer: effect of MR Imaging and MR guided biopsy. Radiology (July 1995) 196 (1): 115-22. Gilles, R., Guinebretiere, JM., Nonpalpable Breast Tumors: Diagnosis with Contrast-enhanced subtraction dynamic MR Imaging. Radiology (June 1994) 191(3): 625-31. Schnall, MD., Ikeda, DM., Lesion diagnosis working group report. Journal of Magnetic Resonance Imagin ( Dec. 1999) 10 (6): 982-90. Brennan, S., Liberman, L, Dershaw, D., Morris, E., Breast MRI Screening of Women with a Prior High-Risk Lesion: Preliminary Results. Cancer Research 69 (Meeting Abstract Supplement), 4002, December 15, 2009. Morris EA, Liberman L, Ballon DJ, Robson M, Abramson AF, Heerdt A, Dershaw DD. MRI of occult breast carcinoma in a high-risk population. AJR Am J Roentgenol. 2003 Sep;181(3):619-26. Li J, Dershaw DD, Lee CF, Joo S, Morris EA. Breast MRI after conservation therapy: usual findings in routine follow-up examinations. AJR Am J Roentgenol. 2010 Sep;195(3):799-807. Lorenaon, M., Zuiani, C., Londero, V., Linda, A., Furlan, A., Bazzochi, M., Assessment of breast cancer response to neoadjuvant chemotherapy: Is volumetric MRI a reliable tool? European Journal of Radiology, (July 2009) Volume 71, Issue 1, Pages 82-88. Fukuda, T., Gomi, N., Miyagi, Y., Tokudome, N., Takahasi, S., Ito, Y., Iwase, T., Akiyama, F., Evaluation of Neoadjuvant Chemotherapeutic Effects of Breast Cancer by MRI: Accuracy of MRI in Predicting Pathological Complete Response. Cancer Research 69 (Meeting Abstract Supplement), 4026, December 15, 2009. Rosen EL, Blackwell KL, Baker JA, Soo MS, Bentley RC, Yu D, Samulski TV, Dewhirst MW. Accuracy of MRI in the detection of residual breast cancer after neoadjuvant chemotherapy. AJR Am J Roentgenol. 2003 Nov;181(5):1275-82. Buchanan, CL, Morris, EA, Dorn, PL, et al. Utility of breast magnetic resonance imaging in patients with occult primary breast cancer. Ann Surg Oncol 2005; 12:1045. Schorn, C, Fischer, U, Luftner-Nagel, S, et al. MRI of the breast in patients with metastatic disease of unknown primary. Eur Radiol 1999; 9:470. 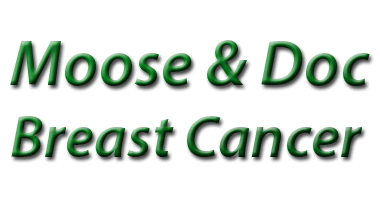 Back to breast cancer screening list or to the brand new homepage.